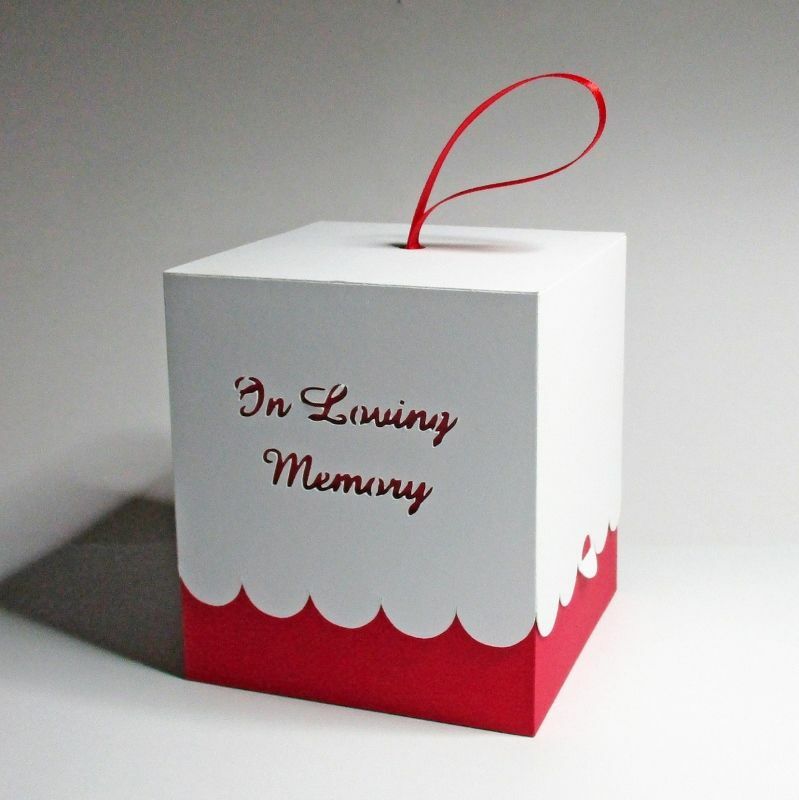 A box for those Memorial Christmas baubles with the words 'In Loving Memory' cut out of the front section. 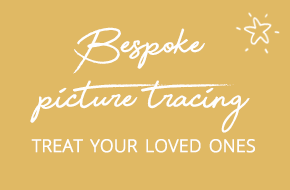 A scallop edging on all four sides of the lid with a small circle aperture to thread your chosen ribbon though. It has a base insert and a top insert to keep your completed Christmas bauble secure during transit and 2 side tabs which slot together to ensure the lid is fastened securely to the base. Approximate Measurements are: 85mm square x 97mm high. Comes complete with photograph and word instructions.